How much do the beauty industry workers stand to lose? Last week, Ako Bicol party-list Rep. Rodel Batocabe made headlines when he proposed the "vanity tax," whereby the government would levy an additional 30% tax on beauty products and services. The suggestion was made as an alternative to excise taxes on fuel, which is being pushed by President Rodrigo Duterte's economic team to offset a reduction in income taxes. "While the poor can avoid the use of beauty products, they however, cannot avoid using public transportation or purchasing basic commodities," Batocabe said. This was backed by other lawmakers such as Deputy Speaker and Batangas Rep. Raneo Abu, Isabela Rep. Rodolfo “Rodito” Albano III, and Quezon City Rep. Winston "Winnie" Castelo, who you will note are all men. This prompted a massive outcry from the public and from more level-headed (and less misogynistic) solons like Senator Sherwin Gatchalian and Deputy Speaker Miro Quimbo who said that not only would the tax be anti-woman, it would negatively affect the low wage earners that Batocabe claimed to be fighting for as well. Other officials evaded the gender topic, saying that it simply isn’t economically viable. So the vanity tax is dead. Hooray for us! The short amount of panic such a tax induced, however, led me to ask the question: Should the tax be put in place, how much do the beauty industry workers stand to lose? We all know the toll the tax will take on the consumer—that the ones who will feel the pinch are actually the less well-off who work in industries that require them to wear cosmetics. But what about those that work within the industry itself, such as salon employees who rely on tips to survive? How much income would they lose if the vanity tax forced consumers to lessen their salon days or lessen the tips they give the beauty technicians? The vanity tax may be nothing more than a bad memory by now, but it’s still worth taking look at how much your neighborhood beauty technician earns. Most salons pay regular employees anywhere from P6,000 to P10,000, with benefits. They also usually get 10 percent for every customer they serve. Other salons have a daily quota that needs to be reached before the 10 percent commission kicks in. So if your daily quota is P1,500 and you made P1,499, you don’t get your 10 percent. On the flip side, in high-end salons, a stylist can make six figures from all the commissions. There are even salons where the owner and stylist share 60/40—but cases like this are, sadly, rare. These calculations are for regular employees. 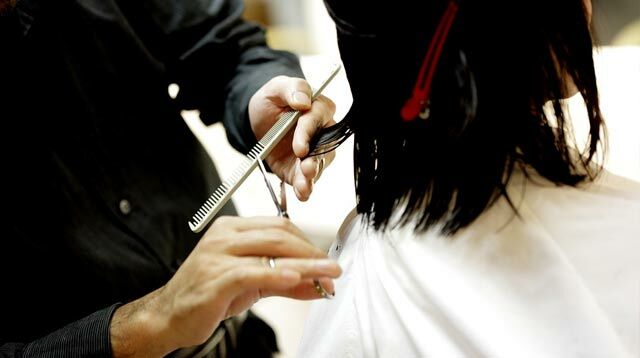 There are many salon workers who are forever employed on a contractual basis, which means no benefits; and there are salons where employees are paid below minimum wage. There are also salons that don’t offer the 10 percent commission. "The reason why most salons have to make these weird calculations is that they are always worried that the commissions of the staff will be taxed weird kasi na-tax na siya as a service, bakit pa kailangan i-tax ulit," said an industry insider who requested to remain anonymous. "It's very difficult to speculate kasi there's so little data." The commission is separate from the tip, which is gratuity given by clients for the stylist or technician’s service. In mid-level salons, on a bad day stylists go home with about an extra P200 in tips. In the lower-end salons, this can go as low as P60. So while we celebrate the killing off of the vanity tax, we should also take a good, hard look at the people whose job it is to make us beautiful. Our source shared, "Dapat talagang habulin ang contractual, below minimum. Sana they just chase after all these people screwing up our labor laws (instead of) going for a tax that'll hurt the end user and the technician." If they truly would like to serve the Filipino people, especially the poor they claim to be oh-so-concerned about, Reps. Batocabe, Abu, Albano, and Castelo should stop suggesting laws that hurt half the citizenry and instead, focus on crafting laws that protect the low wage earner, such as the salon employee who earns below minimum wage and on a bad day, only takes home an extra P60. But it isn’t just up to the lawmakers. As consumers, we should be diligent in making sure that we patronize salons that do not mistreat its workers or break the law. At the very least, we shouldn’t forget to tip our technicians fairly. Sometimes, their survival depends on it.